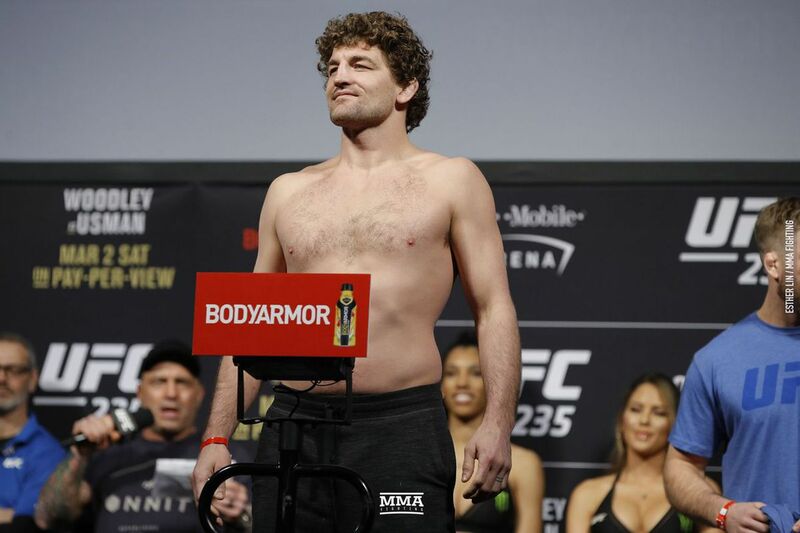 While Ultimate Fighting Championship (UFC) has yet to confirm the fight, Ben Askren is expected to face off against Jorge Masvidal at the upcoming UFC 239 pay-per-view (PPV) event on July 6, 2019 in Las Vegas, Nevada. Prior to that, however, “Funky” will take part in a wrestling match against none other than Olympic gold medalist Jordan Burroughs at the upcoming Beat the Streets “Grapple at the Garden” on May 6 in New York at Hulu Theatre inside Madison Square Garden, which can be streamed via Flo Wrestling. Before making a name for himself in the mixed martial arts (MMA) world, Askren was a household name in the college wrestling arena, winning two national titles at University of Missouri and competed in the 2009 summer Olympics in Beijing. Ben’s strong wrestling base has made him a tough nut to crack inside the MMA cage, helping him run up a highly-impressive 19-0-1 mark in MMA over the last decade. Burroughs, meanwhile, was a three-time All American and a two-time champion at the University of Nebraska, going undefeated in his collegiate career. Jordan won the gold medal at the 2012 Olympic summer games in London, and has multiple gold and bronze medals to his credit at the world championships. With UFC now being more open and allowing fighters to take part in other forms of combat while under contract, it paves the way for exciting matches such as this one; something the promotion didn’t allow a few years back.